Mindful that readers of The Charlottesville 29 may not be quite as crazy about food as I am, I often resist the urge to indulge in full-on food geekery on this site. Resistance is not always easy, and one recent discovery made it impossible. It involves peas. Yes, peas. When I started to describe these peas to a close friend, his eyes began to glaze over from lack of interest. Indeed, not everyone finds this stuff interesting. But, I do. So, here it goes. Over the past several years, Charlottesville’s restaurant reputation has grown and grown and grown. Accolades seem to pile up faster than Jack’s beanstalk. Thought it’s not often said, the folks who make this possible are those who produce the extraordinary bounty we enjoy in the Charlottesville area. Many times, I’ve heard chefs from Washington D.C., Richmond, and other areas express envy at the proximity that Charlottesville chefs enjoy to so many outstanding farms and sources of first class ingredients. These producers are the unsung heroes of Charlottesville dining. Consider Phil and Deirdre Armstrong of Harvest Thyme Herbs, a small Staunton farm whose produce is beloved by top chefs in the area. You can find their products at Charlottesville 29 inductees like The Ivy Inn, Maya, Pippin Hill, and more. 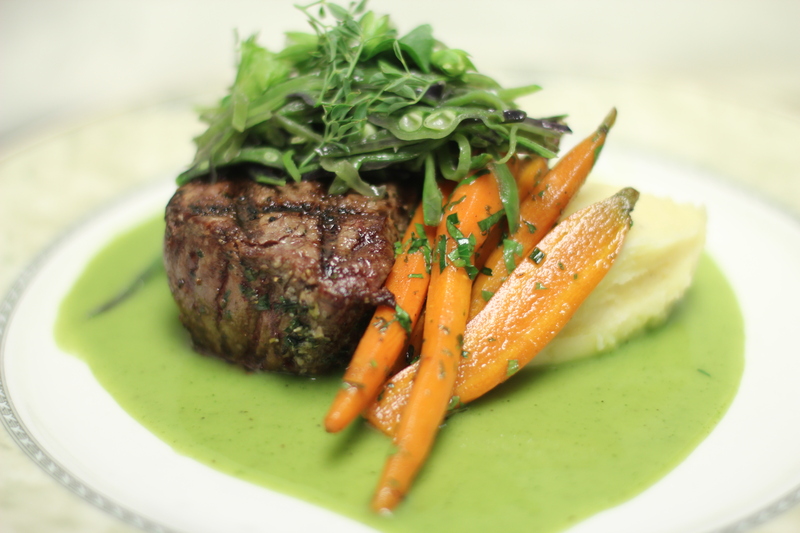 What makes the Armstrongs special is not just their commitment to perfecting the produce they already have but also their enthusiasm in seeking out new products to bring to area chefs and diners. 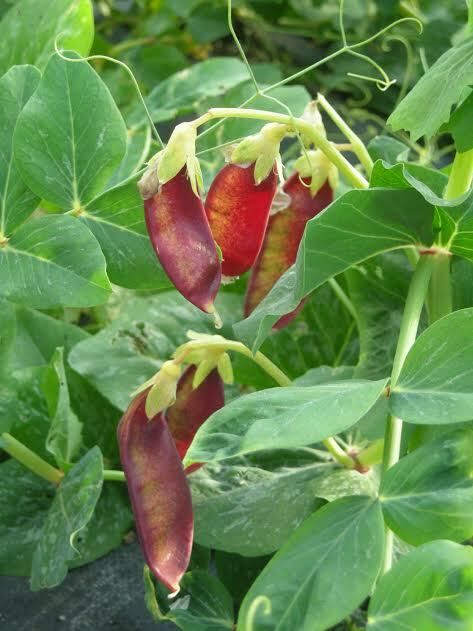 Last year, an article in Food Arts by Carolyn Jung gushed about extraordinary new breeds of peas that were making top New York City chefs “swoon.” Their creator was Dr. Calvin Lamborn, the scientist who developed the first commercial snap pea in 1979. Now 80, Lamborn continues to create unique breeds of peas, and his latest creations are making waves at top NYC restaurants like Union Square Cafe, wd-50, and Per Se. One lucky recipient is Christian Kelly, the chef who once helped Clifton Inn become one of just sixty restaurants in the country attain Relais & Chateaux status, before opening Charlottesville’s best Jeffersonian restaurant. 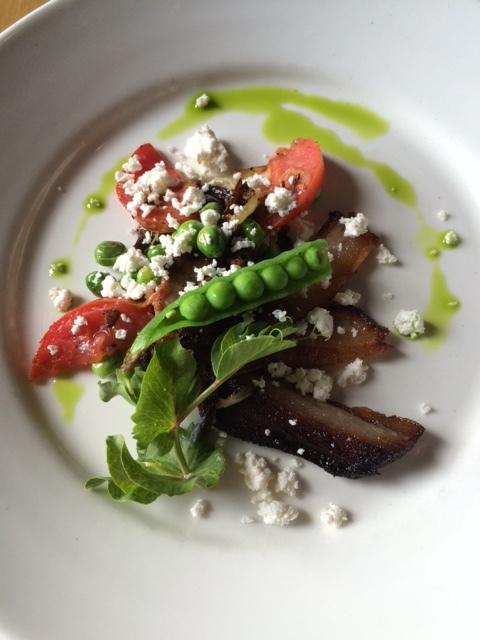 At Maya, he uses the peas and tendrils to top house-cured pork jowl from The Rock Barn, local red slicer tomatoes from Pleasant Pastures, and house buttermilk cheese. 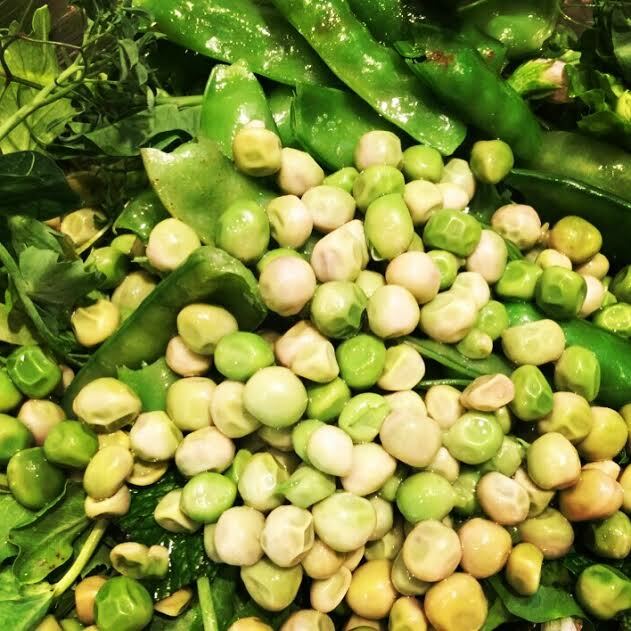 “It is a responsibility and an honor to showcase Dr. Lamborn’s work, and we feel very fortunate to bring these unique treasures to our chefs,” said Deirdre Armstrong, who very kindly gave me some peas to try for myself. Unsure what to do with such treasures (besides enjoying them raw), I decided a simple preparation would be the best way to appreciate them. And so, I blanched shelled peas and snap peas before tossing them with pea tendrils and local greens in a light vinaigrette. Oh my. Bursting with the delicious essence of pea, the salad was one of those rare dishes I know I will always remember. The sweet “52s”, in particular, seem destined for fame. Incidentally, a few Michelin-starred restaurants in California, like The French Laundry, have also caught wind of these new breeds of peas, and managed to snag some seeds as well. So, where does that mean you find these magical peas? Well, for now, three places: top restaurants in New York City, California, and, thanks to the Armstrongs, Central Virginia.